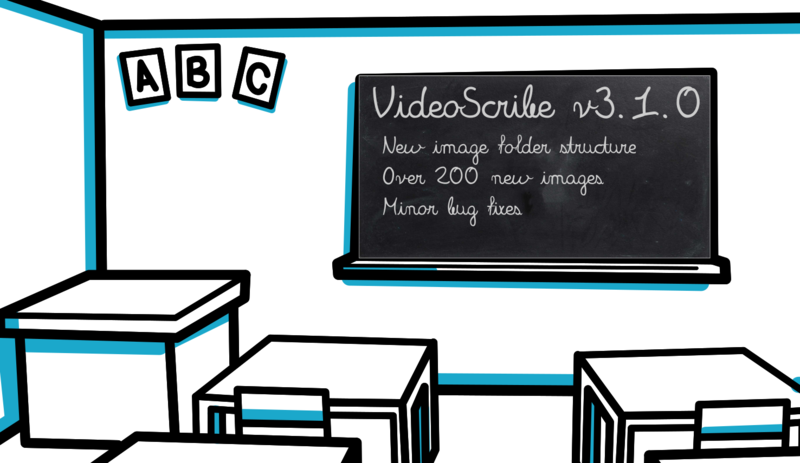 We have just released VideoScribe v3.1.0 and it can be downloaded from your account page. Here’s a summary of what’s included in this release. We have updated our folders in VideoScribe to make sure that our fresh new images are easy for you to find and even available to our Pro users offline. We have also added full-color versions of every image from our recent Buildings, Vehicles, Scenery, Emoji and Currency image packs… that’s 266 new images available with v3.1.0! We have fixed an online save issue which was affecting a small number of customers. That all sounds great! How do I upgrade to v3.1.0? If you would like to upgrade to this latest release of VideoScribe, simply download and install it from your account page. For detailed instructions on how to do this please see the below links.